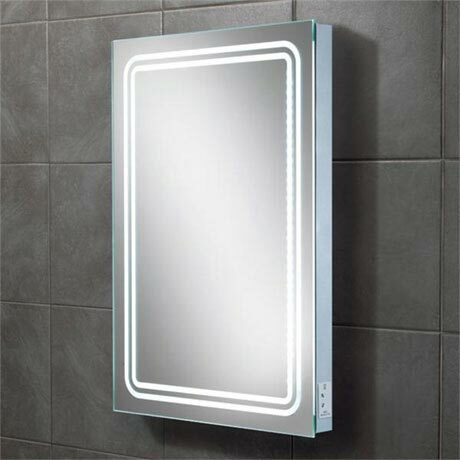 The Rotary LED Mirror is a portrait steam free LED back-lit mirror with illuminated design and charging socket. The integrated charging socket for toothbrushes, shavers and trimmers means you don’t need to fit an additional charging socket point. The heated pad helps clear condensation from the central area of the mirror while the sensor switch to operate the lights is simply turned on and off by a simple wave of your hand. The mirror is IP44 rated which makes it suitable and safe for use in the bathroom.